Would appreciate comments from readers - have been very pleased with my Sunbeam EM6910, which is still working well after 5 years - no issues at all - but like the quieter operation of the newer 7000 model. However, just toying with the idea of the Breville dual boiler, which seems to allow for more customisation (which I'm happy about now). Is it worth an extra $500 for the Breville? What do you like to drink and what customisations do you consider important? EM7000 has configurable temperature, pre infusion, and volume. BDB is going to be more temperature stable seeing as it has a boiler. I think they go on time rather than volume? I've only used the former so will let someone else speak to its merits. Have you seen the size of the BDB as that could rule it out for some? Make equal numbers of latte and long blacks, zeezaw. Sometimes use my Little Guy (need more time for that) and Aeropress daily. Be aware the 7000 (had one since 2014) is not an really upgrade from the 6910 (had a few of both and sorted a lot of them out for friends since 2010). 7000 is a lot quieter and has an "autowand" to froth milk plus a milk thermometer. Easy for newbies to froth milk, however perfect microfoam is really, really hard to achieve (the autowand gets in the way). Shot power is about equal to post 2010 6910's (the stainless steel p/f / long thin red drip tray "button"). All the pre 2010s I have tried (i.e. the ones with a brass p/f and round drip dray button) have a lot more shot grunt (my fave is my Aug 2008, bought as a new one in late 2010). They also have a few mm more p/f to drip tray clearance (the first "later 6910" I tried broke a favourite cup due to the height difference - Oops!). Once you know what you are doing, any of the 6910s can do better microfoam. If you upgrade from a 6910 to most commercial machines (I also have a 2 group La Pavoni) the skills will transfer readily as far as milk goes. The DB Breville is not really a step upwards anyway - you will lose the 90 second warmup of the 6910 and gain a little less noise and theoretically more temperature stability for the first two or three cups - after that it runs out of puff. The 6910 is pretty temp stable anyway (I have never felt / thought the DB was better) and can do a shot a minute forever (given a spare family member / honorary serf to keep topping up the water tank). My record is 72 shots in one hour on my 2008 6910 (I couldn't be fagged lugging, wiring and plumbing the La Pav and I had a spare 6910 there if needed - it wasn't). Unfortunately if you want a genuine step upwards, you probably need to multiply your budget by 4 or 5 times. If you like to tinker, look up the Decent DE1+ or a manual lever (Olympia Cremina is my pick) and keep the 6910 for the other half. After a month she will notice the in cup difference and learn how to use your new toy. 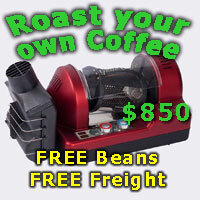 I just picked up a Breville BES920 from Hardly Normal for a ridiculous $788 if that helps make up your mind. "Limit one per customer". Australia wide price I believe. It'll be like moving into the same house in a different neighbourhood. Do it because you want one of the other features on offer, the coffee will be similar once you know what you're doing. Bit the bullet and got the Breville 920 on special at Myer. Very impressed with packaging and clear instructions. First shot this morning was just great - good crema with nice tiger-striping. Looking forward to my journey with this machine. jcrayon and inorog like this. "Well, you probably want the accessory kit..."